The adult community of Sun Village, located in Surprise, AZ has about 1,400 residents. There is a guard at the entrance 24 hours a day for security. For someone who wants a small town feel this would be a great place to start looking. In fact, prior to my dad passing away I was trying to talk him into moving closer to me and I thought Sun Village would be someplace he would feel at home. The 47,000 square foot recreation center offers facilities for cards, billiards, table tennis, sewing, woodworking, arts and crafts, as well as a fitness center, library and beauty/barber shop. Free movies, dancing, parties and other activities are available in the spacious Kachina Ballroom. 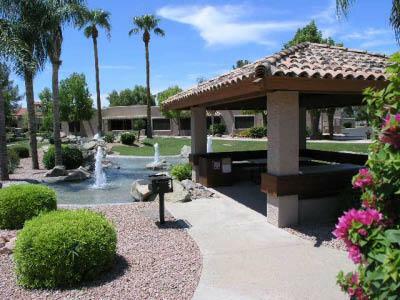 Sun Village boasts one of Arizona's largest heated swimming pools, a whirlpool spa, an 18-hole executive golf course, a pro shop, tennis courts and a restaurant.